If you find a buyer that closes on this home, you will get a separate $2,000 AGENT BONUS, in addition to your 3% commission. The home at 495 Daniel Avenue, Decatur, Georgia 30032 is SOLD. Congrats to the new homeowners! Also, please take a look at the photos above to get a glimpse of how beautifully this home was transformed. If you are still interested in purchasing a home in the area, check out 623 Daniel Avenue. It was renovated and updated by the same company and is currently for sale. 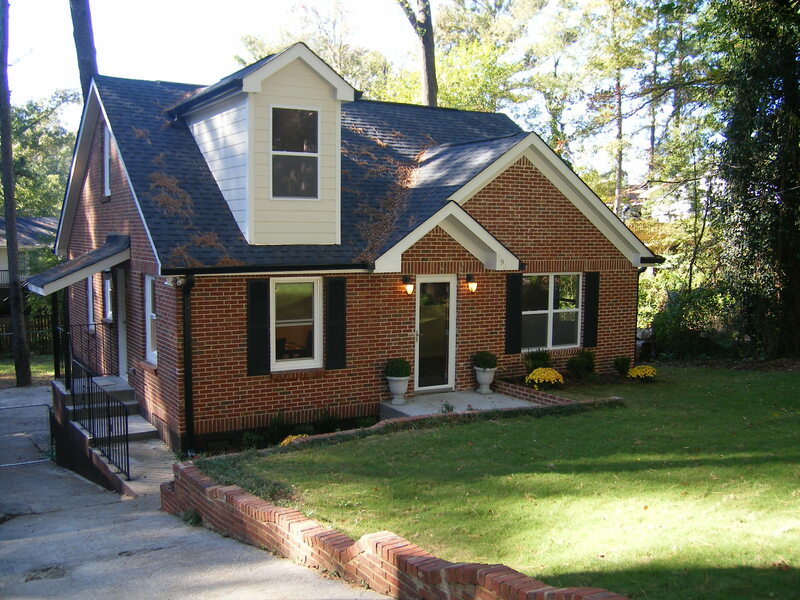 The home at 495 Daniel Ave, is located in a great neighborhood in Decatur, GA, a suburb in the Atlanta area. For anyone not familiar with Decatur, GA, the city offers so many amenities from shopping to restaurants, recreation and a capable city government. If you would like to learn more about the City of Decatur, look into the upcoming Decatur 101: Everything You Need To Know About Decatur classes. It is a FREE 5 part class to inform citizens about their community and local government. There is also a Smart Growth Walking Tour in addition to the class. Once you register for the class, give Rita a call. (404-447-7998) She’ll happily give you a Guided Walking Tour of the home too! Ready for a buyer in the New Year! This Decatur, GA home has undergone a massive transformation. It wasn’t too long ago that the house made the news for being abandoned after a tree nearly destroyed the house by falling on the roof. However, after a lot of time, effort, and care, the home at 495 Daniel Avenue, Decatur, Georgia 30032 is more amazing than it once was! The owner renovated the home and restored it to its current beautiful state. There will be an Open House for this home soon, so please check back often. Or better yet, schedule your own private viewing of the home by calling Rita for more information at (404) 447-7998. It is a glorious fall day in Atlanta. The leaves are changing, the air is crisp. It is Halloween and 495 Daniel Ave is having its first Open House. Take the tour and see how inviting this house is now. It has been brought back to life inside and out. Notice the staging and all the quality features. It won’t be long and a new homeowner will be moving here. By October 22, the custom closets have been installed through out the house and new doors are in place. 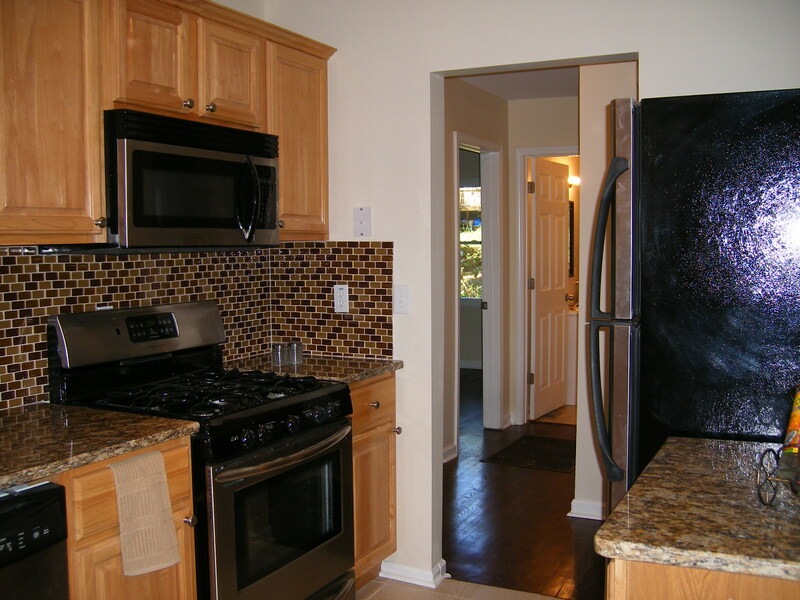 The kitchen has beautiful new granite countertops and backsplash. Next is the punch list for the final details and staging. The hardwoods are stained and ready for foot traffic, the kitchen cabinets are installed. We’re just waiting for countertops and the final punch list. Maybe there will be some Halloween trick or treaters coming by at the end of the month! Take a look at the interior detail today! The floors are being sanded to prepare for the stain and finishing. There are new baseboards through out this house. Once the stain and finish are applied, no one will be walking inside for 48 hours while the finish dries. It was unanimous. The color of the soffit and the dormer in the front has been changed. The cabinets are being installed in the kitchen and the ceiling fans and light fixtures are all in place. Check out the decorative stone work in the back yard. In a short week or so, this house will be ready for the new buyer. Watch for the final pictures from this fun project! One month into the rehab and it is almost finished! This project is entering into the final stages of completion and it is coming together beautifully. The rooms have been painted a soft color which will bring a lot of natural light inside. Ceiling fans, light fixtures are being installed. The tile is almost complete in the 2 bathrooms. Check out the tile detail in the master bedroom shower. Tell your potential buyers to check out the progress and be ready to make an offer. Yeah! The rain came over the last few days and the sod is happy! The sheet rock is ready for paint, the windows have been trimmed out, the new doors have been hung. Check out the tile being installed in the bathroom and be the first to see the tile that will go in the master shower. Stay tuned for the final push.